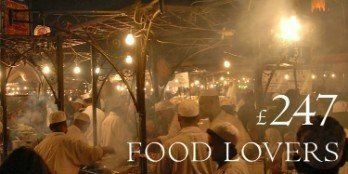 Marrakech is our passion. 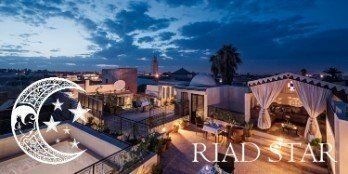 We offer four Riad hotels in the old town medina, each with its own distinctive personality. What really makes us special, and fantastic value for money, is our small team of dedicated staff who will be on hand to help, reassure and advise you throughout your stay. These charming boutique hotels each have thirteen or fewer guest rooms so you can expect a truly personal service. An intimate and luxurious Riad located in the fashionable Dar El Bashah district of the Medina, a short walk from the main square. Just five beautiful guest rooms all superbly equipped with air conditioning, flat screen TV, and other modern conveniences. The hotel can accommodate up to 11 guests, boasting a dipping pool, patio and fantastic roof terrace complete with sunbeds, dining areas and a Moroccan tent. 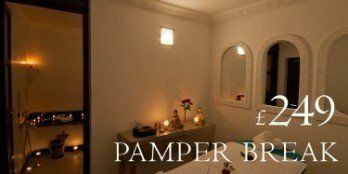 Dar Habiba is a traditional Riad, just minutes from the famous Jemma al Fnaa square. 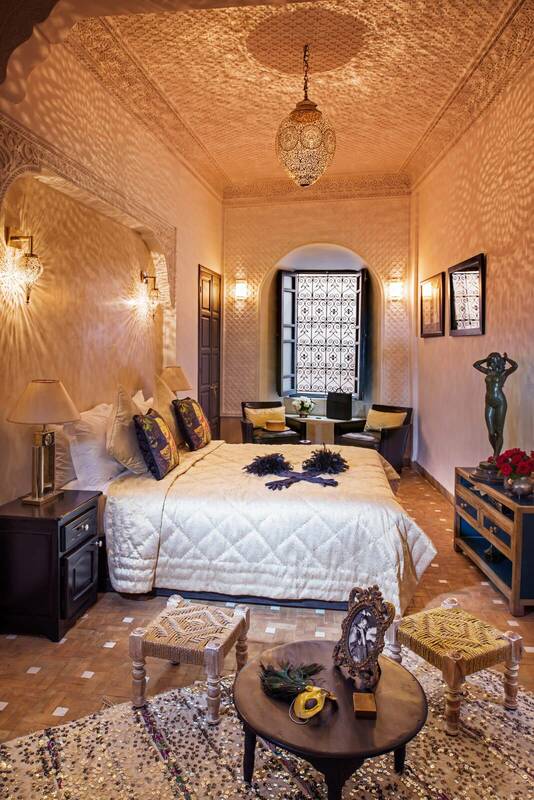 With one suite and five rooms sharing a romantic courtyard, the Riad sleeps up to 14 people in total. From the roof terrace you can often see the famous Marrakech Storks flying over ancient Royal Palaces. 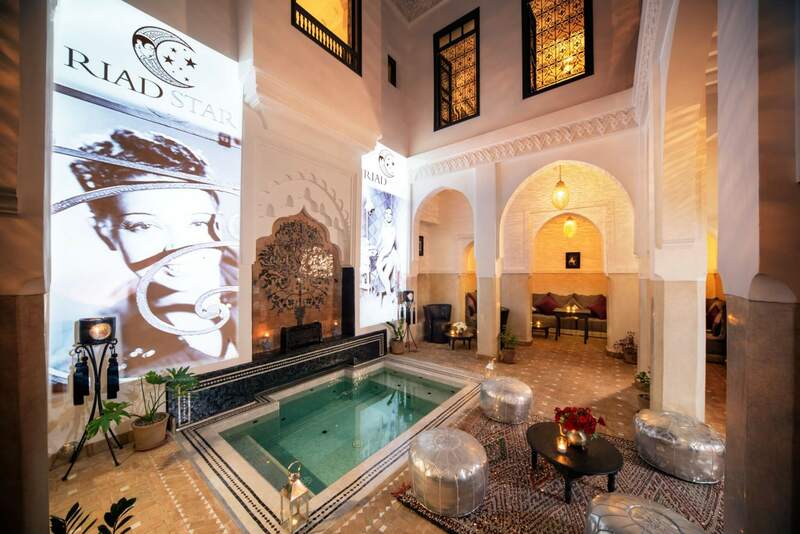 Riad Cinnamon is a beautifully restored merchants’ house located in a quiet residential area in the heart of the old town just two minutes from the Marrakech Museum and ten minutes from the main square. 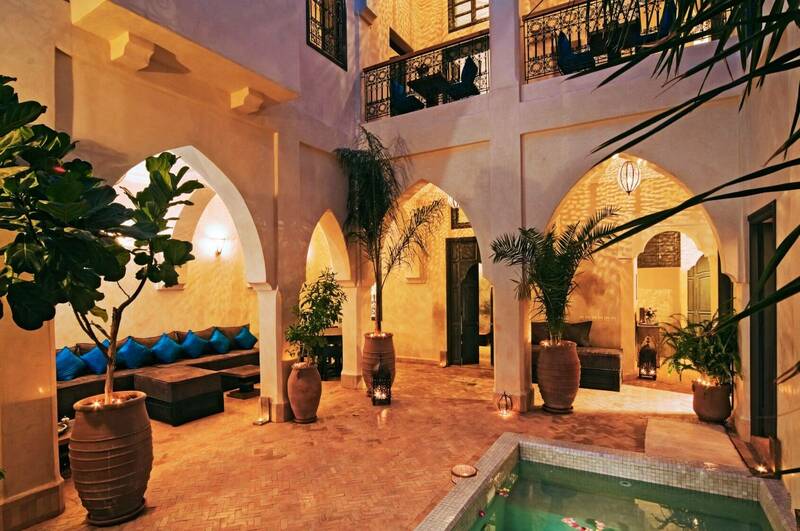 This elegant Riad can accommodate up to 16 guests. At its heart is an impressive cloistered patio with dipping pool. The roof terrace is one of the most remarkable in Marrakech with views across the rooftops of the Medina to the Atlas mountains. It’s the small things that count: our guest smartphone App; orange blossom toiletries; breakfast served at the time of your choice; delicious evening meals individually prepared to your taste and dietary requirements; WiFi; help booking restaurants and excursions. We are also pleased to loan you a local pay-as-you-go mobile to stay in touch with your English-speaking hosts while out exploring. 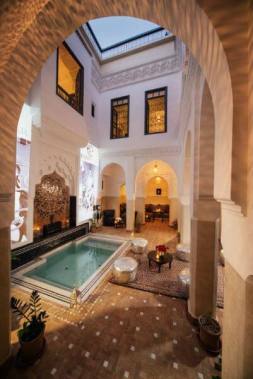 Whole Riad rental, perfect for groups. Whether it’s a special occasion, a relaxed family holiday or a last minute get-away with friends, exclusive use of a whole Riad is a fantastic way to enjoy Marrakech. Our accommodation is so flexible we can offer any combination of romantic doubles, fun and practical family rooms, interconnecting suites, rooms with bathtubs, or luxurious twins and triples. When required we can equip a whole Riad with single beds (14 at Dar Habiba, 11 at Riad Papillon, 16 at Riad Cinnamon, or 38 at Riad Star), providing ideal accommodation a yoga group, dance holiday, or girls weekend. The highlight of any group booking will be a banquet in the Riad, featuring delicious food in a friendly and relaxed atmosphere, whether you dine by the pool or in a Berber tent on the roof terrace. We can even arrange a musician or dancer for your entertainment! 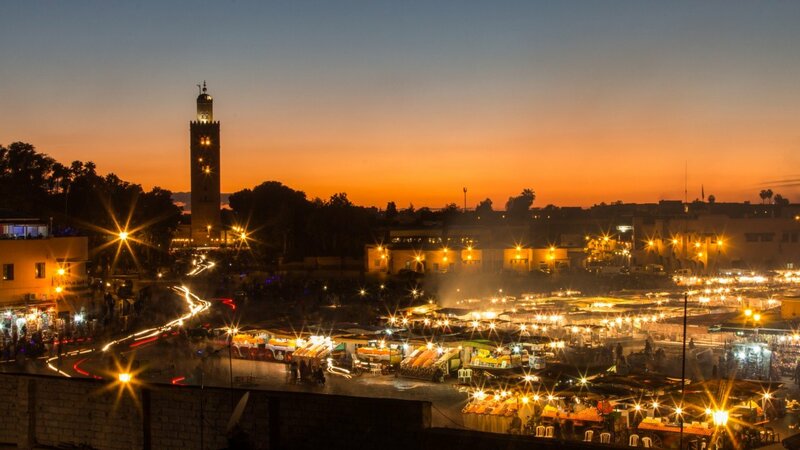 Marrakech or Marrakesh? Riad, Ryad, Riyad , Riyadh, or Dar? 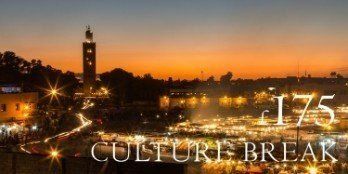 Written in Arabic مراكش, foreigners use the French Marrakech and English Marrakesh interchangeably. 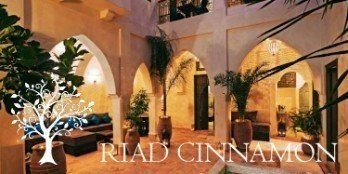 Riad (sometimes written Ryad, Riyad or Riyadh) literally means garden, and describes traditional and wonderfully atmospheric Medina houses that open inward to a garden courtyard. 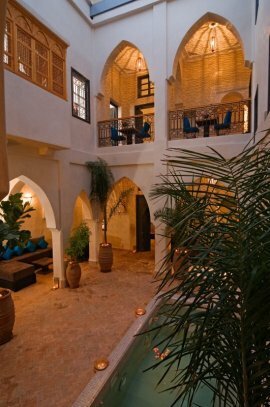 Our Riad courtyards are cool and calm in the heart of the energetic Red City. Dar simply means house or home in Arabic, but don’t be fooled, the magnificent Dar Habiba is anything but humble! Marrakech Riad is owned by English couple Lucie and Mike Wood. 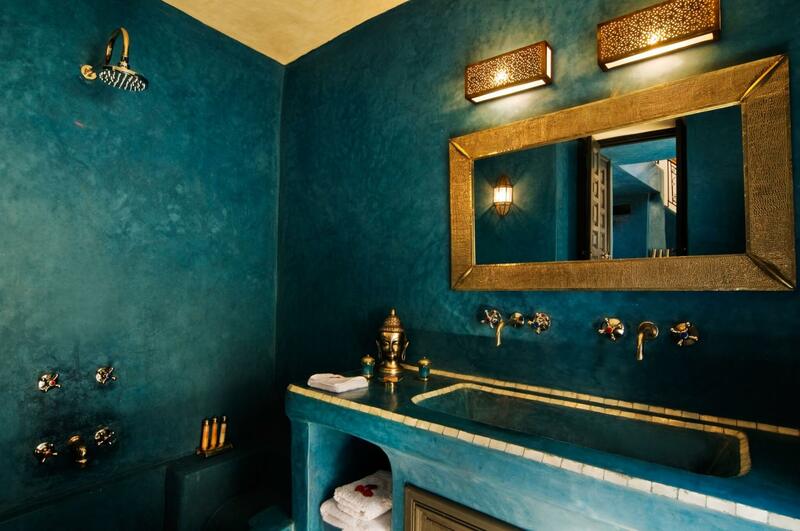 Riad Papillon, Riad Cinnamon, Riad Star and Dar Habiba have been meticulously restored, working with traditional materials and craftsmen while incorporating conveniences like iPod docking stations and WiFi. The dedicated Moroccan staff at our Riads in Marrakech speak fluent English as well as French and Arabic. We hope to be able to welcome you to one of our wonderful Riads soon. Reserve accommodation today! Admin Address: Fontley, Halls Green, Weston, Hitchin, Herts, SG4 7DU. Cancellation and Refund Policy: You will be eligible for an 80% refund if you cancel 28 days or more before your arrival date*. If you decide to cancel 8 – 27 days before your arrival date, you can request a 50% refund*. Customers who cancel their bookings less than 8 days before their arrival date will be responsible for the payment of the full booking amount. *The refund amount is expressed as a percentage of your booking total. We are pleased to accept payment in Sterling, Euros or US Dollars.